PINE64 - Is my Rock64 is dead ? 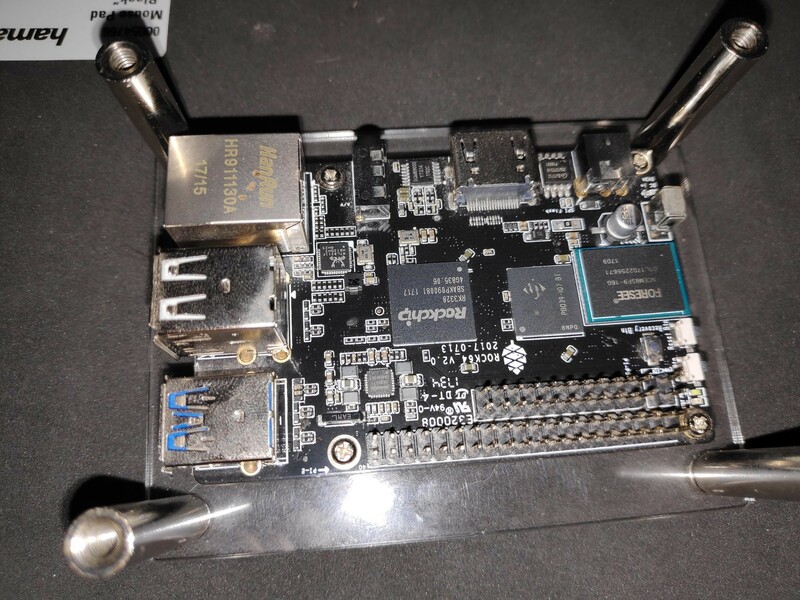 PINE64 > ROCK64 > Hardware and Accessories > Is my Rock64 is dead ? 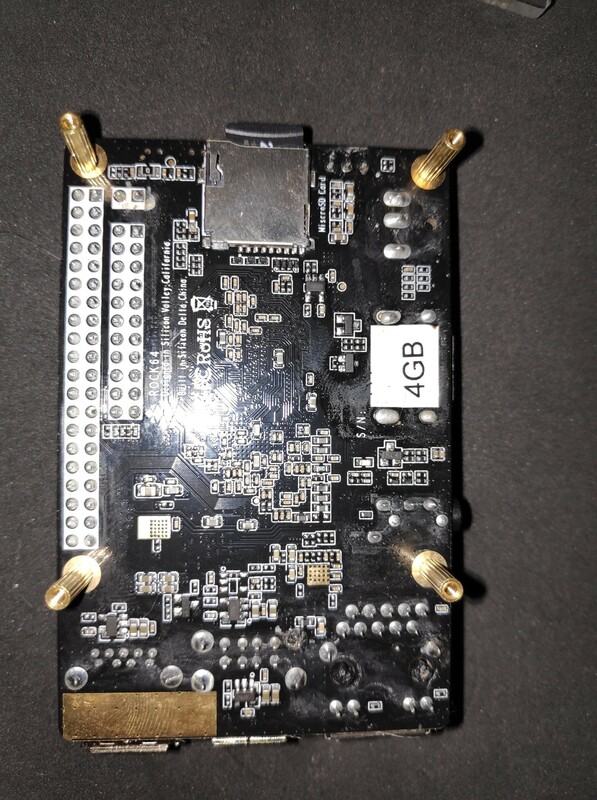 Full Version: Is my Rock64 is dead ? Hi, I have a problem with my Rock64 and I would like to know your opinion and if it is possible to find a solution. Until 2 months ago, I was using my Rock64 as an Android TV, it wasn't constantly plugged in. Then I couldn't use it since, so I put it in my desk (in a drawer). I now have time again and I would like to use it again except... there is a problem. When I plug in the (original) plug the all the rock64 LEDs start flashing, and nothing happens on the screen, on the power supply I can hear a little "click". So I thought that the problem came from the power supply, even if it's strange, I made a multimeter measurement, I have 5~5.2V at the output. I then checked the physical integrity of the ROCK64 and except for a few strange little "dirt" (because it was well stored). I can't tell if it is rust or not, it's strange, inside a desk and there is no "water source" or anything near. Tested with and without SD Card, with and without emmc and it still the same. Do you think i can do something to fix it ? i love that device, i'm so sad it's not working anymore, I've always made sure to store it properly so it doesn't get damaged and in the end I feel like it's worse than better. 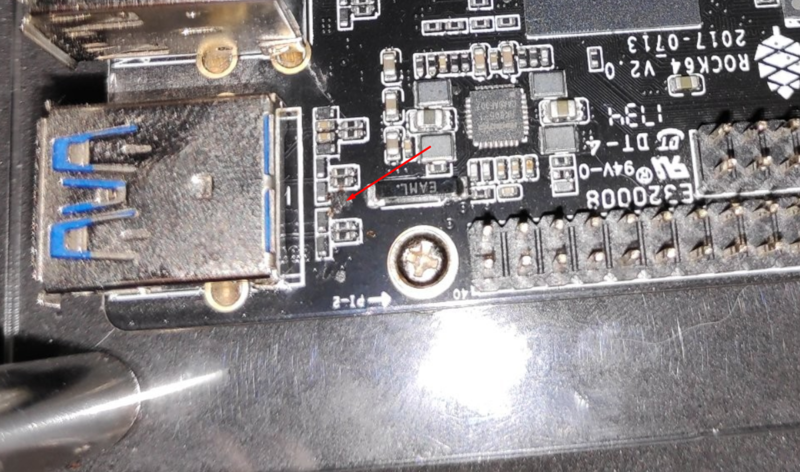 (01-31-2019, 05:42 PM)totalgaara Wrote: [ -> ] Hi, I have a problem with my Rock64 and I would like to know your opinion and if it is possible to find a solution. from photo, can tell what type of dirt. The location is close to USB 3.0 host port, if affected, should be only USB 3.0 not working. If you have serial console, please check on boot up log message to determine where is going wrong. If you don't have serial console, then just reprogram OS to another microSD card to check whether able to boot up again. The green LED not suppose to blink. When blink, it means the ROCK64 somehow withdraw a lot of current from power supply that cause power supply trigger its over current protection circuit, or another situation is the power supply itself may suffer some defect. This is the guess finding from your short video. I don't know what to do, have you any idea of what i can check ? (02-08-2019, 04:40 PM)totalgaara Wrote: [ -> ] I don't know what to do, have you any idea of what i can check ? To me it seams like a short circuit check some capacitors in your board. Try to find some hot components i usually use some isopropyl alcohol to see ware it evaporates first or some compressed air. If you don't have any try with your hand and a multimeter. I cut the PSU cable and connected it to a classroom modular PSU, set 5V and current limit at 3A and it works like a charm. Once it's within the required voltage/amps specs that shouldn't be a problem. I'm running my Roock64 on an old webcam power supply with no difficulties but I don't use any peripherals that require powering directly from the Rock64 USB ports. my rpi kit had a 1.5 amp power supply. if yours still has a sticker on it read the output should be 5v and current like 650mA or 1.5Amp or whatever, you should try to have at least 3A. you can get a usb microB to 1.1mil barrel adapter if you got the money, that way your supply is not modified. your barrel , i think , is 3.5mm o.d. x 1.35mm i.d. and the link you posted has that.